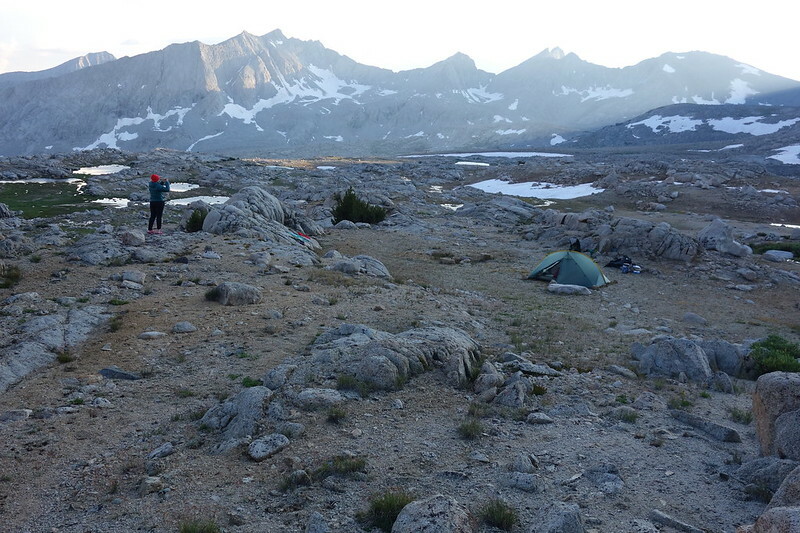 Back to the Sierra, Day 5: “This Great Wilderness” – Hi, Alpine. The sun’s up before us, and all traces of last night’s storms have flittered away. All that’s left are small wispy clouds, like bits of ash floating up from a fire. We sleep in, exhausted from last night, and have breakfast on the rocks by camp, everything we own laying out in the sun to dry. 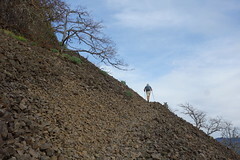 Our footsteps from last night have all been beaten away by the rain, and all the rocks around have been washed clean. 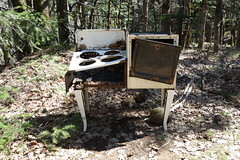 The place glimmers like new. The off-trail route down to Marjorie Lake is a delightfully quick scramble, and I think again of the rocks here, how there always seems to be a hidden way through, on unseen ramps or cracks that are always wider than they seem. 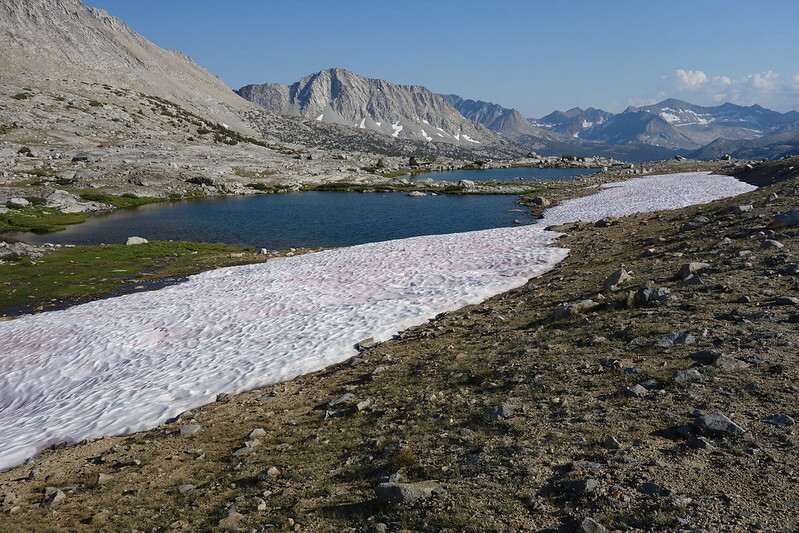 Back on the PCT, there are immediately people: camped along the lakeshore, packing up, skipping rocks. It feels like we’ve just emerged from a secret world, like we’ve just come from a parallel land outside of time, where none of this was ever settled, where none of these trails were ever built. It feels like we’ve come from that, then stumbled unceremoniously onto a crowded city street. As we walk down the easy tread, I think about the irony of this trail—one of the most used in the country—being named after John Muir. 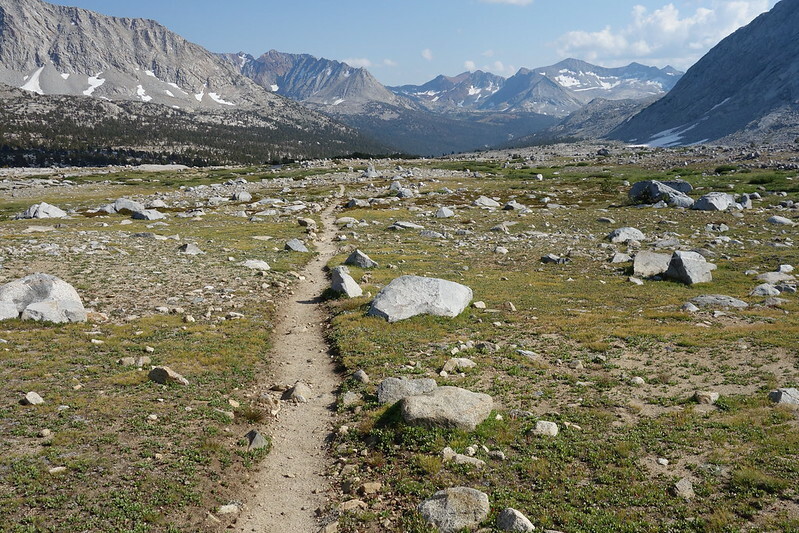 Along with several early members of the Sierra Club, Muir was at best ambivalent about trails, because he thought trails standardized our experiences out here, reduced the unbound wilderness to a preset path, a series of greatest hits. Everyone gets the same pictures from the same viewpoints. 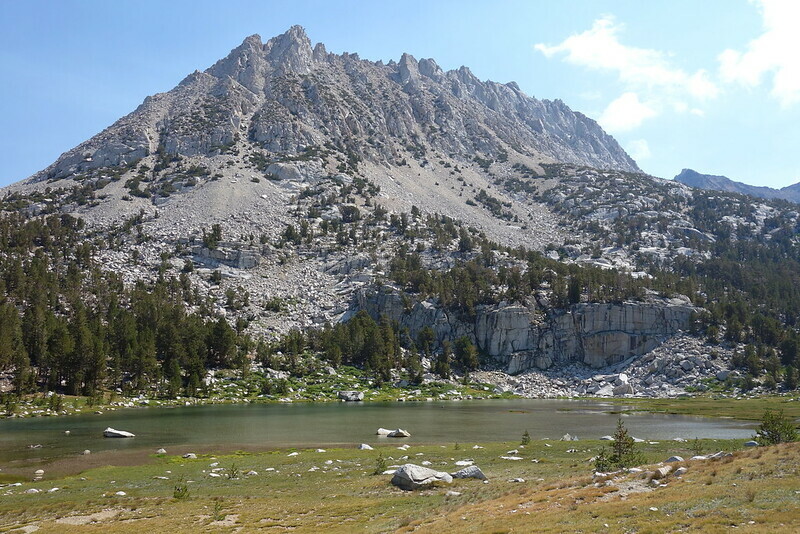 One of the original purpose of [The Sierra Club] was to render mountain regions accessible. 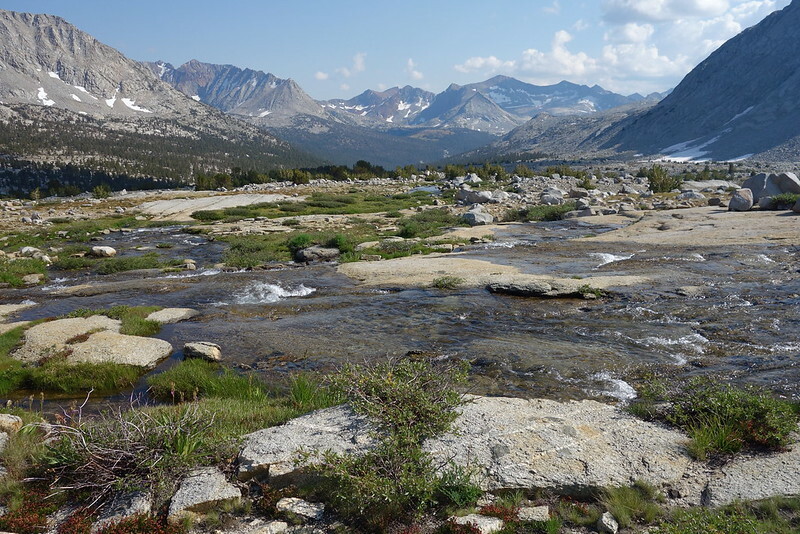 The club feels that this purpose has now been accomplished; that no more roads should be constructed in the wilderness area of the High Sierra extending from Yosemite National Park to Walker Pass; and that, with very few possible exceptions, no more trails should be constructed. 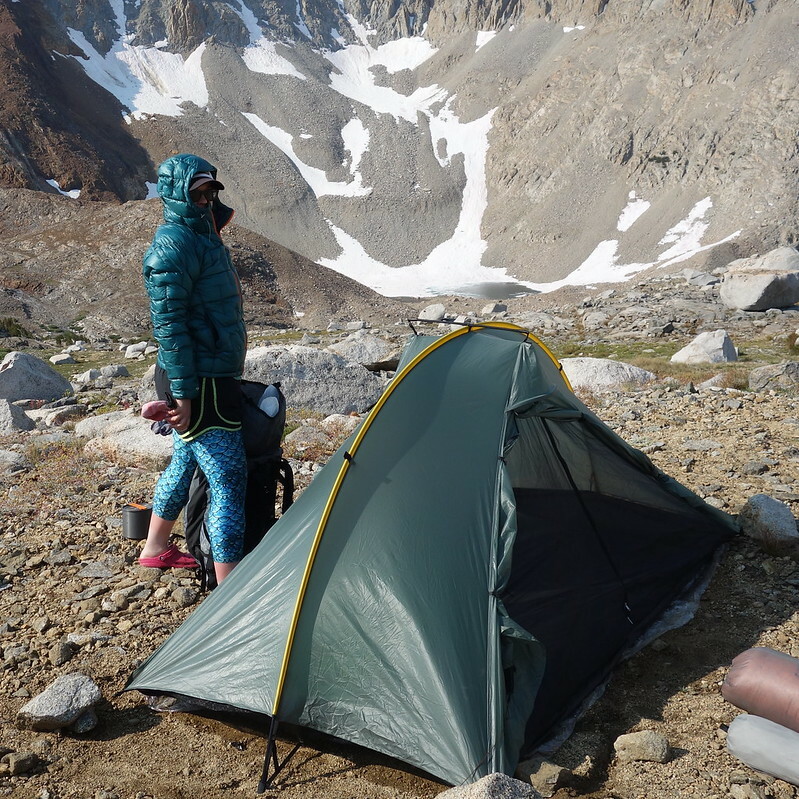 To future generations of mountaineers should be left the pleasure, thrill, and experience of pioneering and finding their own routes to the many high mountain basins, lakes, and peaks which abound in this great wilderness. Starr mostly had his way. 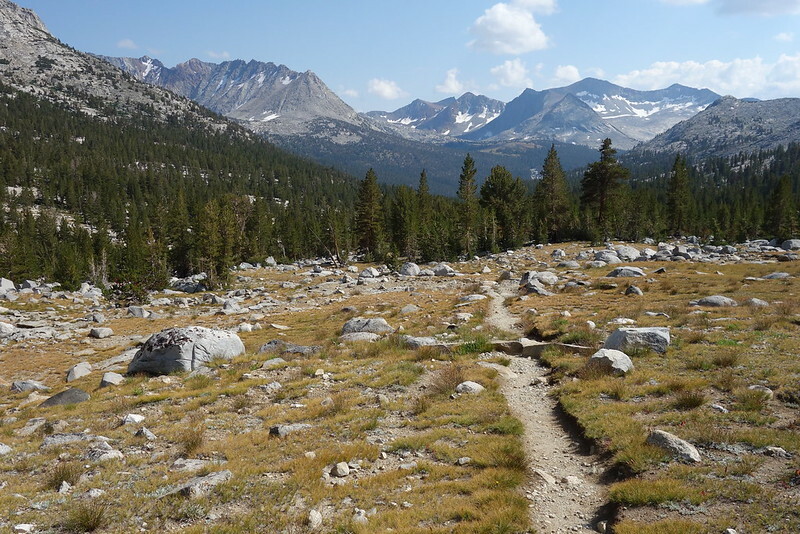 If anything, there are fewer trails—at least, fewer clear trails—in the Sierra than when he was writing in the 1930s. A few paths have become very well-trodden, but others have faded, such that, when they appear on maps at all anymore, they appear as faint dotted lines, as though the rockslides and overgrown grass have somehow made their way onto the map, and worn holes in what were once confident, bright lines. At least, I think, there’s that. 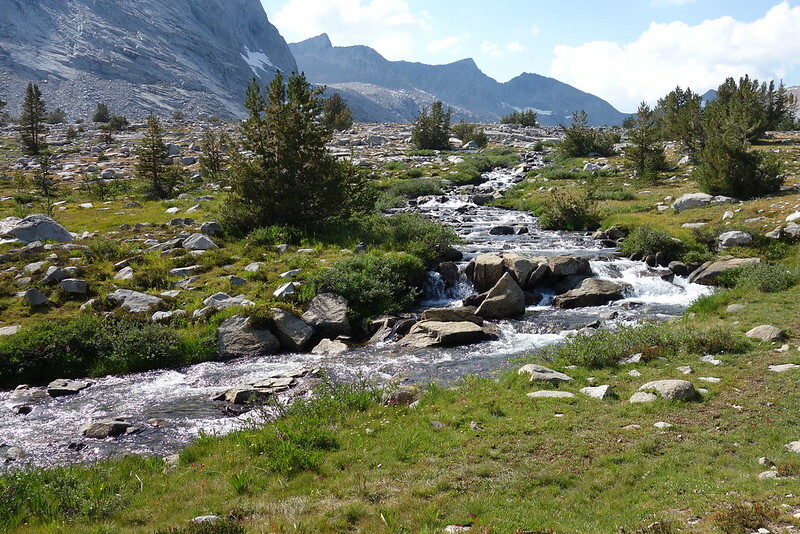 This place may be bisected by a freeway, but it’s a freeway still surrounded by real wilderness. Just a mile or two off lies another, untouched world. 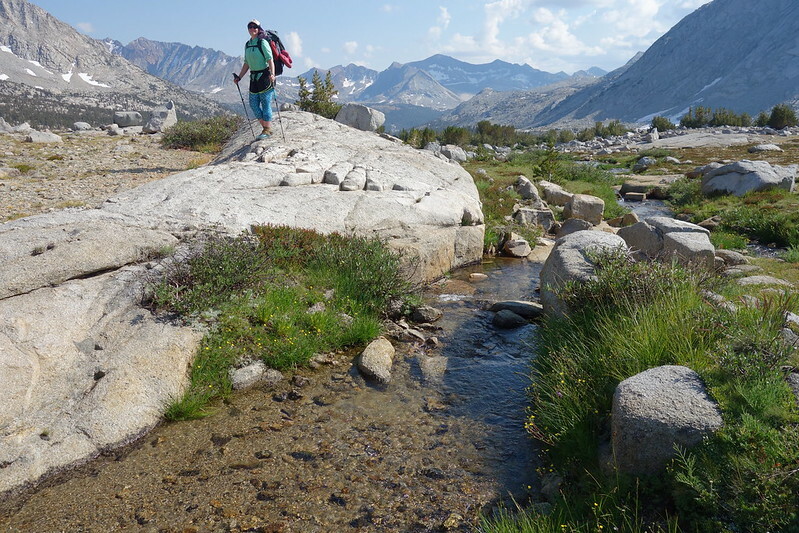 The drop down to the Kings River goes much quicker than I remembered, and soon we’re at the ford, walking through with our shoes on. We’d been a little nervous for the crossing—someone died here earlier in the summer—but now it’s just up past our knees, and gentle enough to be doable without poles. From the other side, we watch a very tan man in a neon “Just Do It” shirt lead a woman—probably his partner, definitely long-suffering—looking for a dry crossing. As he fumbles around, he somehow gains followers, such that there’s soon a trail of four poor people behind him. He fills the space where a good route should be with confident pronouncements about his river-crossing prowess. The woman quietly asks if maybe they should just walk through, and he snaps at her. They eventually do find a way across, but all look significantly worse for wear. The woman’s got a cut on her leg. The man approaches us, almost accusingly, and asks how we got across. Krista tells him “we walked through.” I am surprised, and impressed, by her exclusion of “just” between “we” and “walked.” Dude puts his hand on his hip and starts to say something more—I presume he wants to teach us a tip or two he learned from Bear Grylls—but Krista’s eyes are like lasers, and he withers, then walks away without another word. She turns her head toward me, grinning. I feel an intense and immediate need to tell her that I love her. 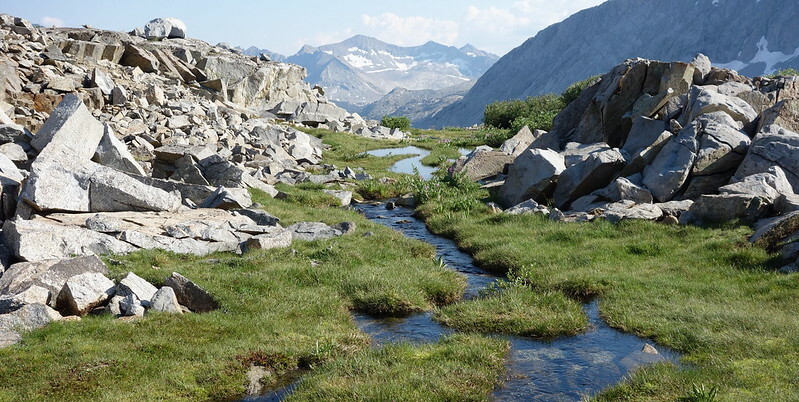 From the river, it’s just an easy few miles up into the Upper Basin—a massive plateau, where the South Fork Kings begins. It’s maybe the most beautiful place I’ve ever seen. 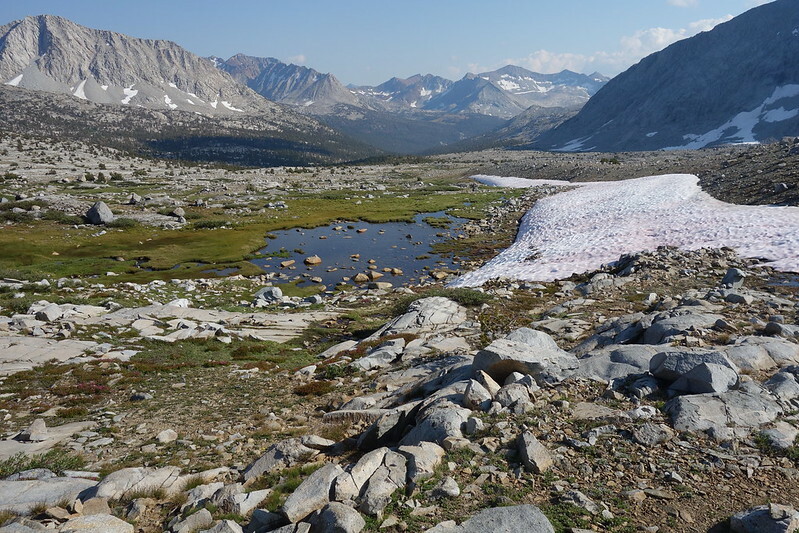 We amble up the river as white granite towers higher and higher above us, and soon we’re in the basin, surrounded by small streams, blooming flowers, and late-season snowfields, all still perfectly white against deep green grass. 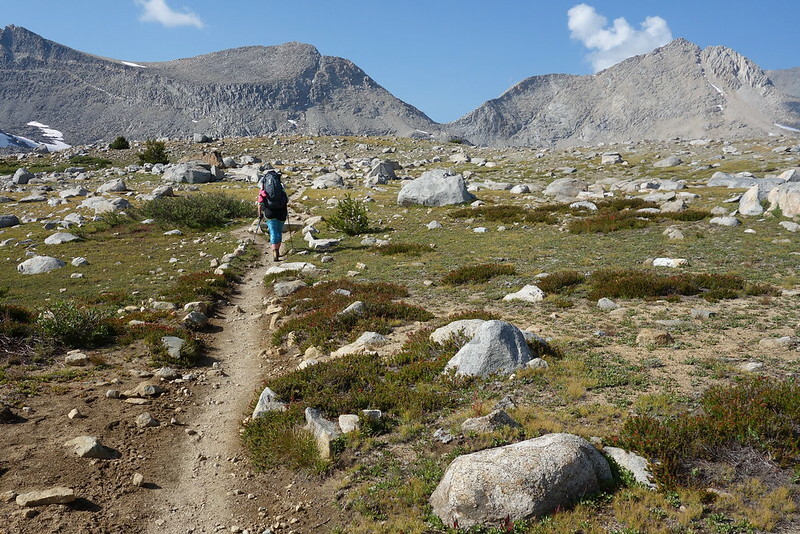 We leave the trail as it begins to curve toward Mather Pass, and follow a series of rock ledges toward Split Mountain. 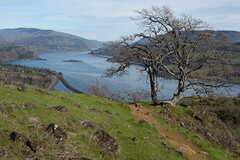 A very large lake is hidden here, surrounded by several smaller ones. 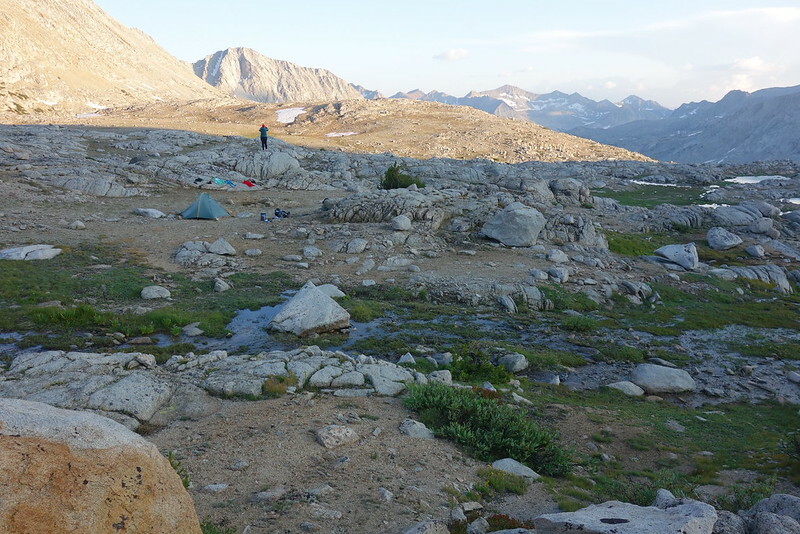 We find a bare, mostly flat spot big enough the tent, setup, and get to some camp chores: wash our clothes in a snowmelt stream; attend to a couple Foot Things; take very cold, very short baths. Mine is accompanied by several staccato yelps. The sun sets for hours, coloring the granite every possible shade of red and purple and blue. Then there are miles of stars, bright enough to color our little camp white. It’s too cold to sit out for long, but we lie for a while on the still-warm rocks, watching the sky change.